The Court of Appeal of Gonaives in a hearing chaired by its president Octelus Dorvilien, releasrd former Director General of the PNH Godson Orelus. 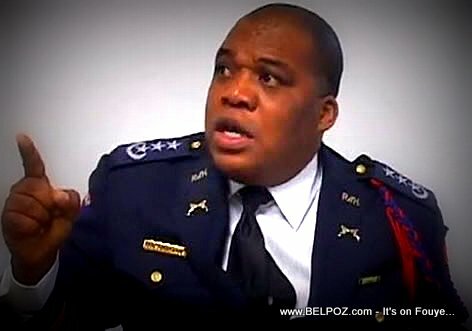 The former Haiti police chief was arrested on October 26, 2018, as part of the investigation conducted by the investigating judge, Dieunel Lumerant, on a case concerning the importation of illegal firearms into the country back in September 2016. Keep in mind, the judge who arrested police chief orelus fled to the United States seeking Asylum for political persecution after his house was gunned down during the investigation.